Learn Gymnastics | Beth Tweddle Gymnastics (formerly Total Gymnastics) Cookies Policy. Beth Tweddle Gymnastics, previously known as Total Gymnastics, is a dedicated club founded by Olympic Medallist Beth Tweddle MBE, to provide classes for children aged 2+ in partnership with local schools and leisure centres. Beth Tweddle Gymnastics, are official partners of British Gymnastics, and deliver in venues across Manchester, Merseyside, Cheshire, North Wales and Essex. 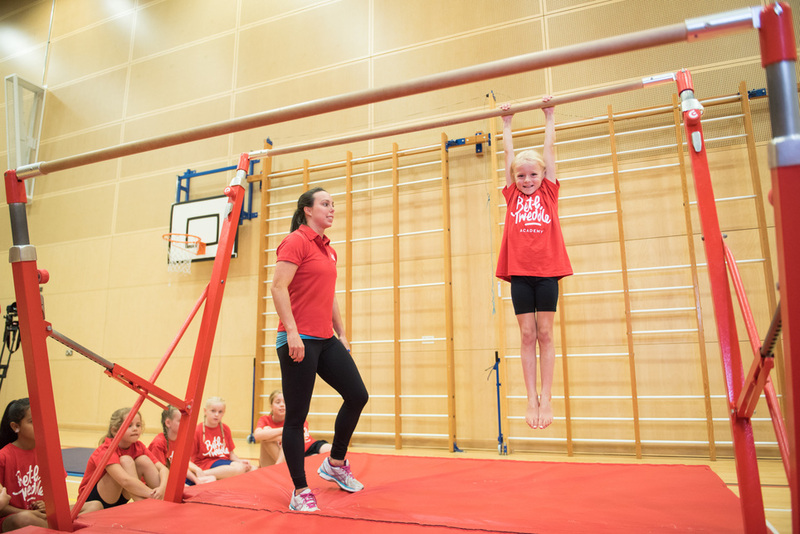 There are tens of thousands of children in the UK who don't have the opportunity to get involved in gymnastics, and don't have access to a high-quality programme with fully-qualified, passionate coaches. We're here to change this by delivering our programme in community-based venues for all abilities aged 2+. Our direct debit payment method also means lesson costs are now spread evenly into smaller, more manageable monthly payments to suit family life. In the Queen’s New Years Honours list 2010, Beth was awarded an MBE for her success, commitment and dedication to the sport of gymnastics. This dedication is the force behind Beth Tweddle Gymnastics and our mission to give every child the opportunity to get involved. Children aged 2 - 7 on our programme will first work through our Beth Tweddle Gym Stars awards scheme where they can learn the basic fundamental moves of the sport, have fun, make new friends and achieve badges, certificates and stickers on the way. Our children aged 8+ will then work through the British Gymnastics Proficiency and Advanced Proficiency Awards and can train for up to 2 hours a day, once a week. We make sure our sessions are fun, productive and structured, with the gymnasts working alongside experienced and enthusiastic coaches who will give them a fantastic first experience of gymnastics, and help them develop their skills. No matter what their ability, it's never too late to start. The awards scheme is the main focus of our classes, however there is a key development pathway within the academies where the gymnasts can participate in displays within the academy and some in-house and beginner level competitions. This gives them a taste of competitive gymnastics and can prepare them to move onto a more advanced level club, should they wish to. Our aim is not to find the next World Champion, but we do understand that some of our gymnasts may want to take their skills to the next level; if this is the case, we will be more than happy to work with you to source another club in the local area and liaise with the coaches in that club for your son or daughter to join them. We will never hold our gymnasts back from what they want to achieve; we will just be thankful that we had the opportunity to help them find their love of the sport and that we were able to set them off on their journey. Why choose Beth Tweddle Gymnastics? 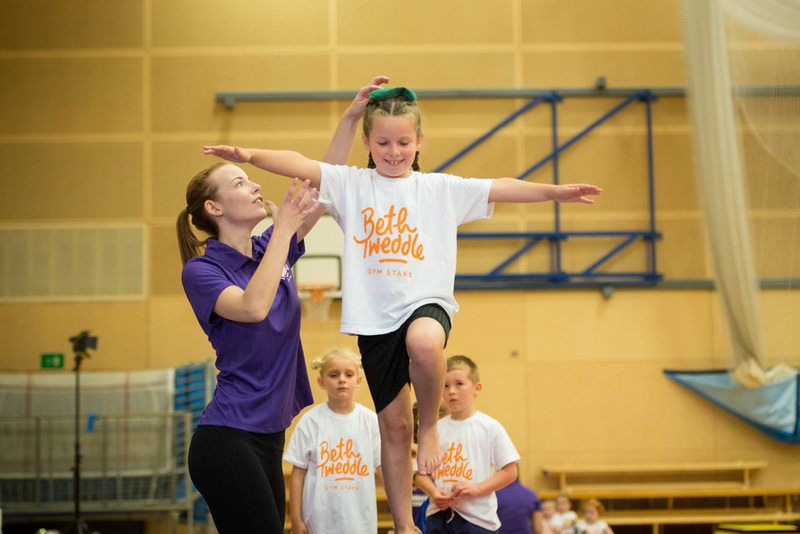 Join us at Beth Tweddle Gymnastics, as we work hard to give every child the opportunity to get involved in gymnastics, and to inspire a generation!